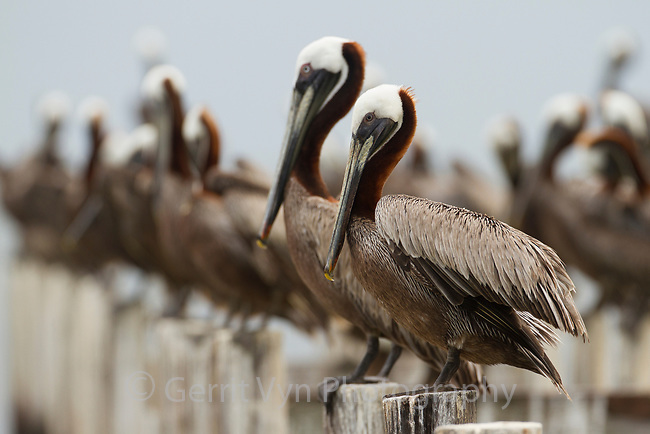 Adult Brown Pelicans (Pelecanus occidentalis) on pilings. Baldwin County, Alabama. June.